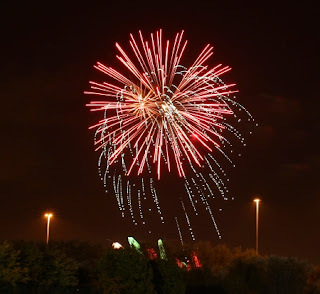 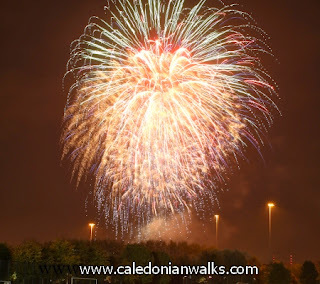 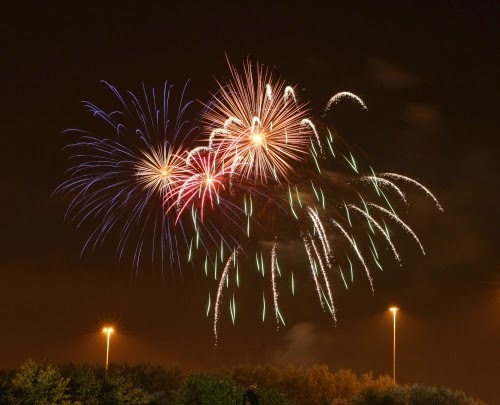 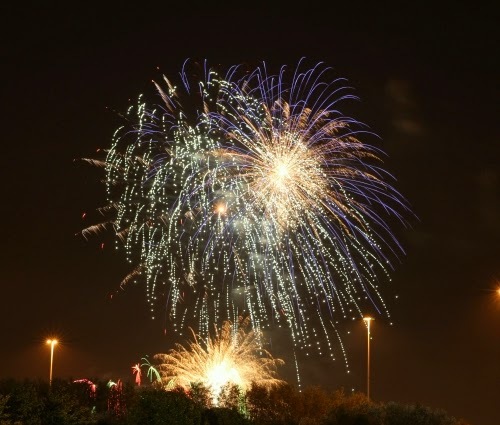 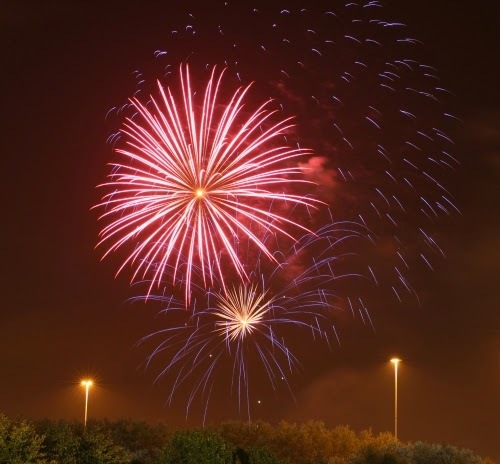 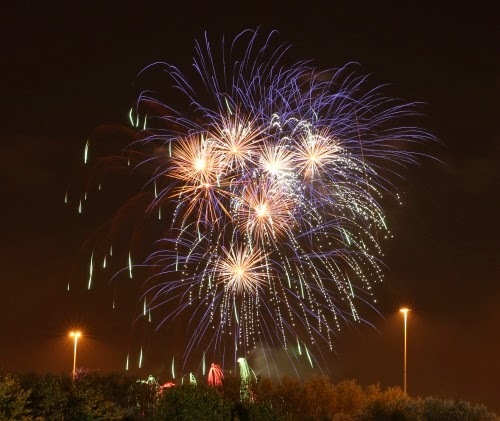 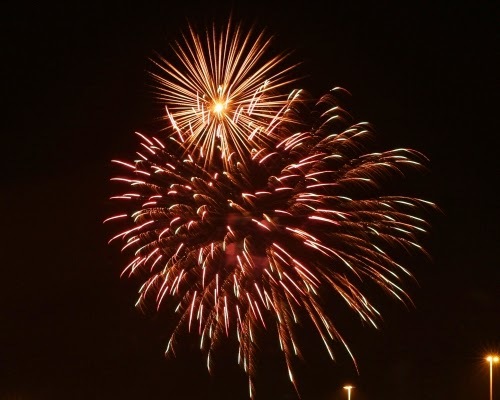 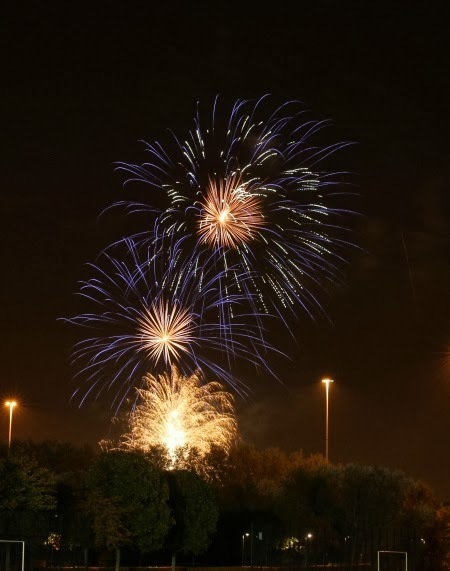 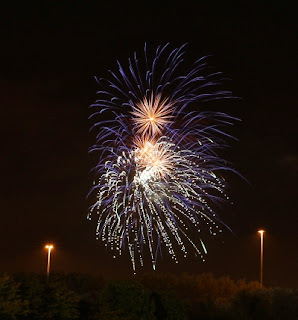 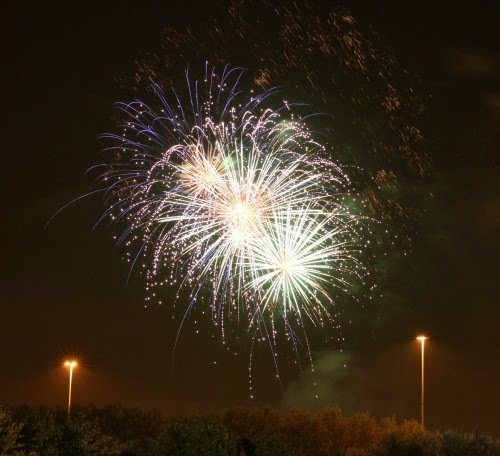 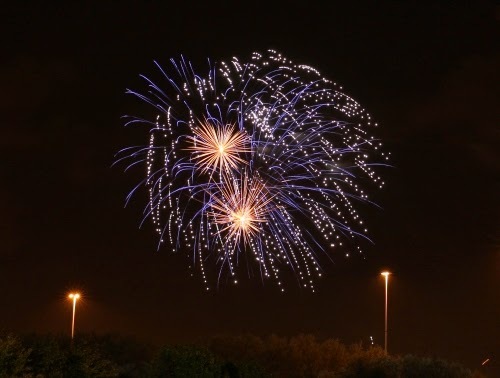 Caledonian Walks: Fireworks at Strathclyde Park, Motherwell on November 5th. 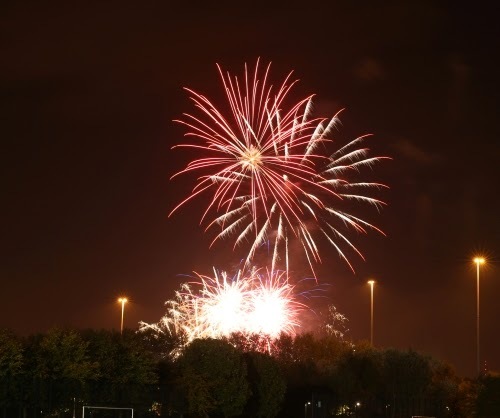 Fireworks at Strathclyde Park, Motherwell on November 5th. 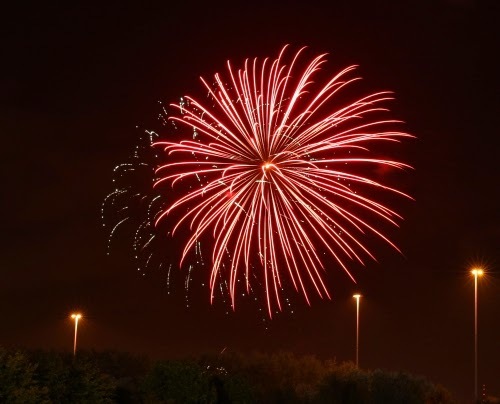 November 5th is known as Guy Fawkes Night or Bonfire Night when people celebrate the failure of the Gunpowder Plot to assassinate King James Vl of Scotland and l of England in 1605. 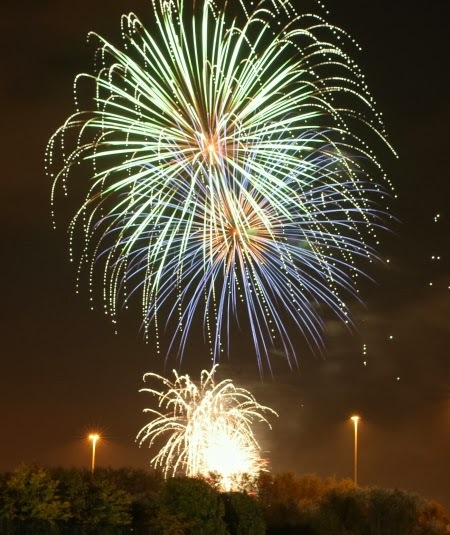 The Gunpowder Plotters leased a cellar beneath the House of Lords with Fawkes placed in charge of the gunpowder. 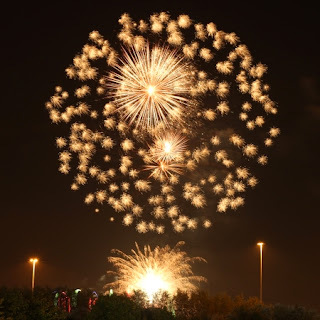 They planned to assassinate the Protestant King and restore a Catholic monarch to the throne. The authorities received an anonymous tip-off and found Fawkes guarding the explosives. He was questioned and tortured, before his execution on 31 January. 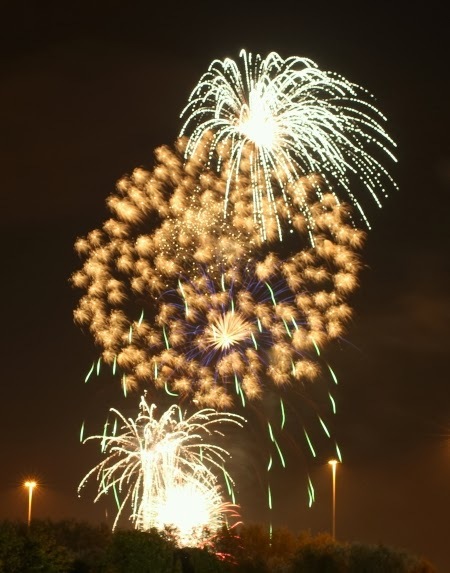 Fawkes jumped from the scaffold before being hanged and broke his neck. Since then it is a tradition to celebrate this event with bonfires and fireworks. 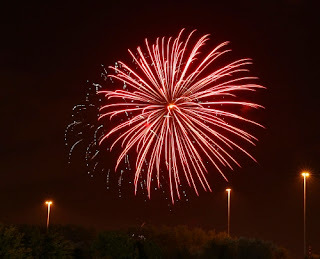 A major display is always organised by North Lanarkshire Council in Strathclyde Park in Motherwell. Some of the photographs I took are shown below to give an idea of how good this display was. As the above photographs show, it was a quite a spectacular sight. 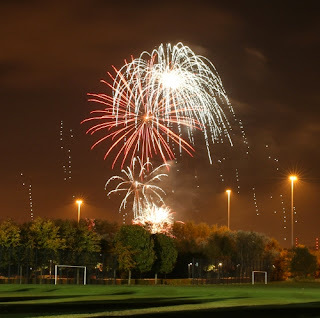 The weather was cold but dry and the wind was low which helped the images turning out well. Strathclyde Park is located in Motherwell, Lanarkshire, Scotland.